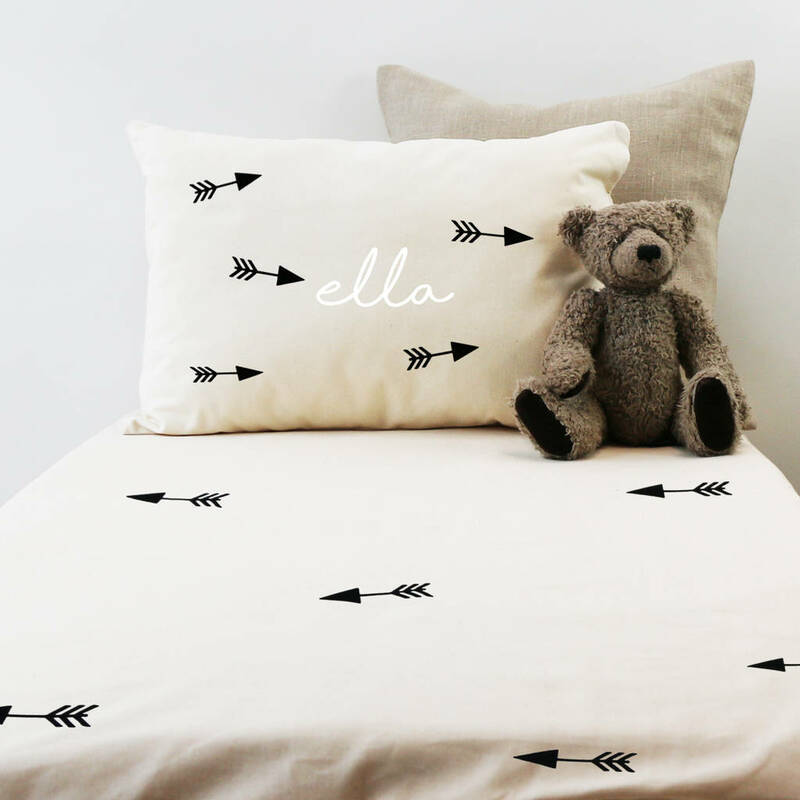 A stylish bedding set for the nursery. Complete your child's nursery with a beautiful cotbed duvet cover set. 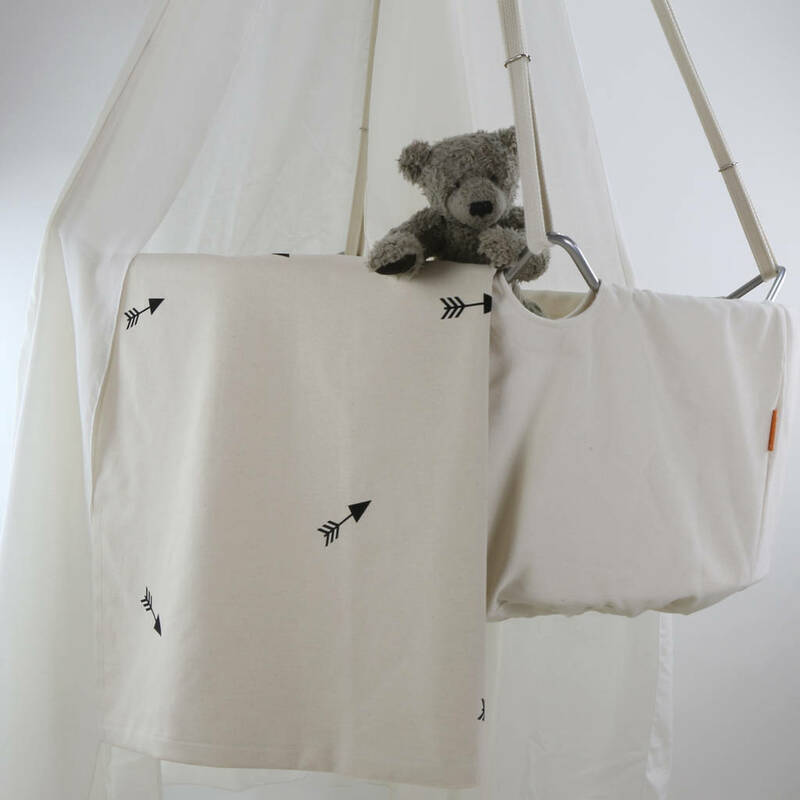 This stylish 2 piece set is made of unbleached soft cotton and is hand printed with black arrows. Perfect for all small warriors, both girls and boys. A unique and personal gift for baby shower, birth, baptism or birthday. You can even choose your favourite print colour, we stock most colours. Please just let us know, and we will print the arrows according to your wishes. 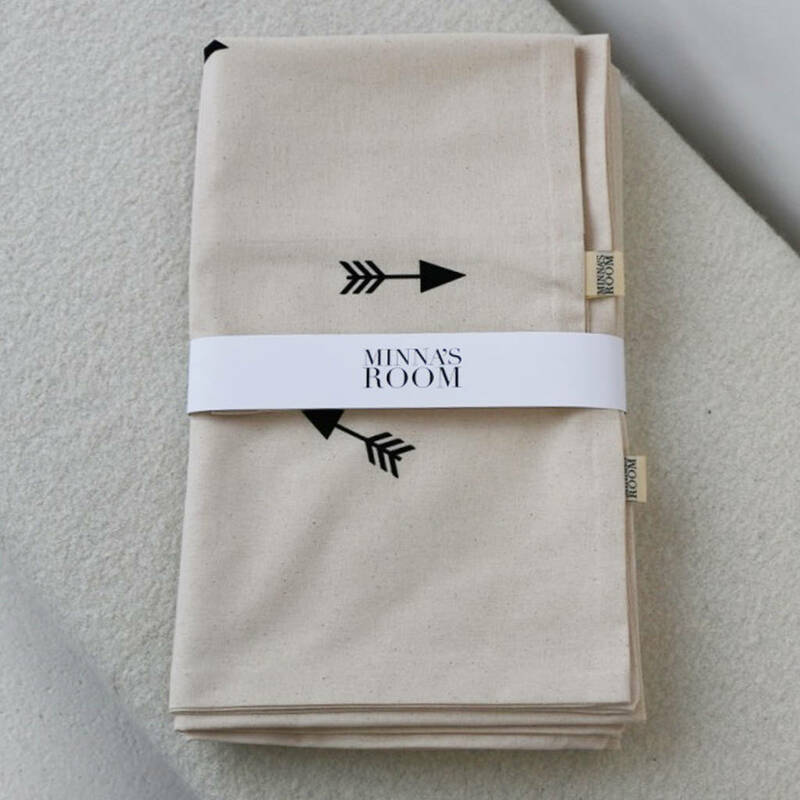 100% unbleached and natural cotton. Machine wash. Iron on reverse.